The Indira Gandhi National Open University (IGNOU) has opened the online registration for OPENMAT 2019 exam from 17th January 2019. The OPNEMAT XLV (45th) 2019 registration will close on 14th February 2019. The IGNOU OPENMAT XLV 2019 exam is on 10th March 2019. 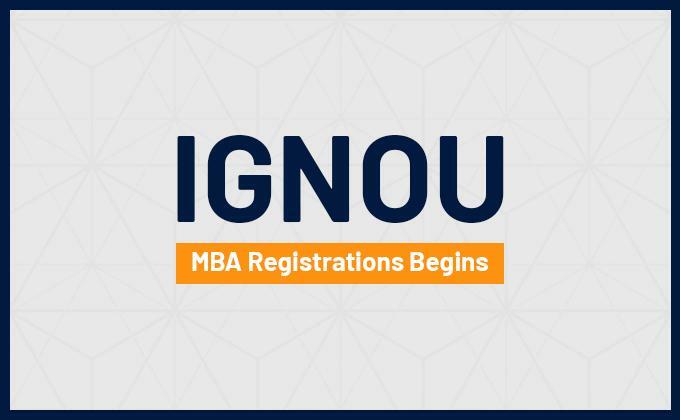 The IGNOU OPENMAT 2019 exam is conducted twice a year – March and December and the exam score can be used to apply for the MP Programme (MBA) July 2019 session. It is a paper-based test where students have to mark answers using an HB pencil. Here is all you need to know about the Indira Gandhi National Open University’s (IGNOU) OPENMAT 2019 exam. 4. Clear OPENMAT XLV with minimum cutoff. 4. The registered ‘User Name’ and ‘Password’ will be sent via SMS and email. The IGNOU OPENMAT 2019 application form is best viewed using current versions of Firefox, Chrome at a screen resolution of 1024 x 768 or higher. The IGNOU OPENMAT 2019 application form will not work in Internet explorer Ver 11 and above. Keep all your academics related documents and scanned copies of passport size photograph and signature handy. The candidates must print a copy or two of their IGNOU OPENMAT 2019 application form. Login using your registered username and password. 10. Click on Next button, check the form preview and submit the form.